I sensed that Jesus was resting in it. That deep and sweet consciousness of God's presence prompted me to say to the Lord, “O Most Holy Trinity dwelling in my heart, I beg You: grant the grace of conversion to as many souls as the[number of] stitches that I will make today with this crochet hook.” Then I heard these words in my soul: My daughter, too great are your demands, “Jesus, You know that for You it is easier to grant much rather than a little.” That is so, it is less difficult for Me to grant a soul much rather than a little, but every conversion of a sinful soul demands sacrifice. 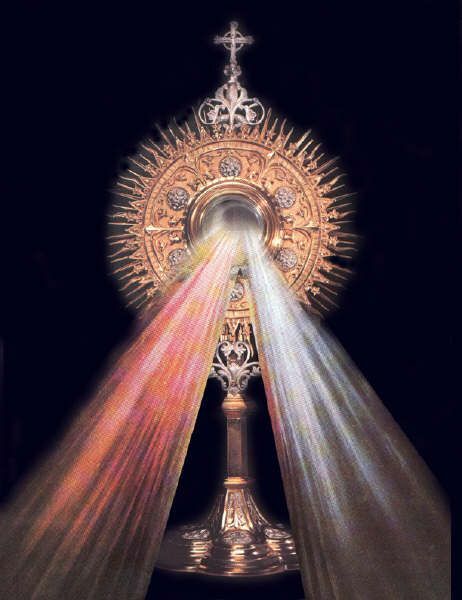 “Well, Jesus, I offer You (304) this whole-hearted work of mine; this offering does not seem to me to be too small for such a large number of souls; You know, Jesus, that for thirty years You were saving souls by just this kind of work. And since holy obedience forbids me to perform great penances and mortifications, therefore I ask You, Lord; accept these mere nothings stamped with the seal of obedience as great things.” Then I heard a voice in my soul: My dear daughter, I comply with your request. site inspired by @ChefFabrizio https://twitter.com/ChefFabrizio. Awesome Inc. theme. Powered by Blogger.